Responsible Leadership is the topic of much debate in both academic and practitioner circles. Critics have pointed out that management education and scholarship often fail to develop the critical, creative, and socially relevant and responsive mindsets that are required to transform businesses and society, and to solve global challenges while being locally responsive. This AOM Specialized Conference looks at what “responsible leadership” means in the context of a rapidly changing world, particularly in rising and transforming economies. We also seek to explore how the scholarly management community, in collaboration with businesses, policy makers, NGOs, media, and other stakeholders interested in the new role of business in society, could best support the development of responsible management and sustainable innovation. 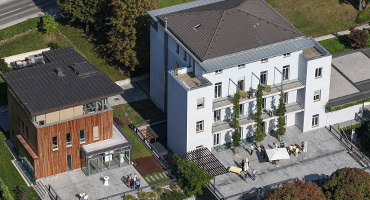 Conference attendees will have the opportunity to network in a global environment, witness first-hand how old and new come together in the rising economies of central and eastern Europe, as well as experience the charming hospitality of one of Europe’s greenest destinations, surrounded by enchanting natural scenery. 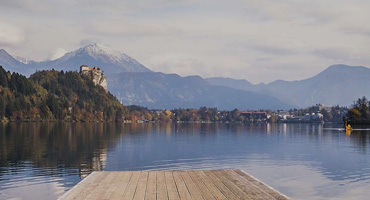 Lake Bled is considered one of the most beautiful lakes in the world, and IEDC-Bled School of Management, Postgraduate studies is one of the leaders in innovative management education worldwide. Please engage with this conference on Twitter using our two hashtags: #AOMResponsibleLeadership and #AOMSlovenia. The AOM Specialized Conferences Initiative features a portfolio of smaller, meaningful and sustainable new meeting opportunities that complement our historic Annual Meeting. Several new conference models will allow members and participants to connect and engage throughout the year, virtually and in varied locations, that are reflective of the geographic dispersion of our international membership. In addition to these conferences, new ideas that reflect the creative energy of our membership are expected to emerge, as the Academy experiments with new program structures, delivery modes, content features, and conference designs. Bled is a town on Lake Bled in the Upper Carniolan region of northwestern Slovenia. Bled is located in the southern foothills of the Karawanks mountain range near the border with Austria, about 50 km northwest of the state’s capital, Ljubljana. 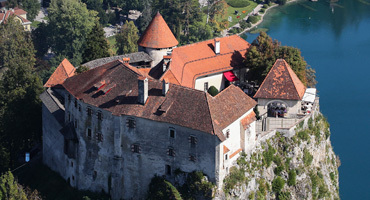 Bled is known for the glacial Lake Bled, and, perched on a rock overlooking the lake, the iconic Bled Castle. The town is also known in Slovenia for its vanilla and cream pastry, Cremeschnitte. This Academy of Management Specialized Conference is hosted by the IEDC-Bled School of Management, Postgraduate studies. To learn more about conference hosting and organizing opportunities, please review the Academy of Management's Call for Specialized Conference Proposals.